The BV Group offers heavy lifting and transport services for short or long term jobs. With a fleet range of 20T – 100T, we can find the solution for anyone’s lifting requirements anywhere in South Australia, including metropolitan, regional and remote areas. 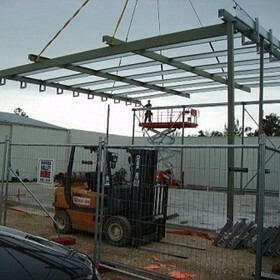 The lifting solutions we offer include mobile taxi crane hire and short or long term crane hire. Our planning and engineering services include factory shutdowns, lifts, shifts and access solutions. Established in 1995, and now in its 16th year of operations the BV Group incorporates both Barossa Valley Crane Hire and Peninsula Crane Hire, and is based in Tanunda, in the Barossa Valley of South Australia.